HAIKOU, CHINA - Several maritime incidents between military assets of U.S. allies Japan and South Korea and their aftermath have disrupted and damaged the Japan-South Korea relationship, and may have broader implications for the geopolitics of the region. How did such relatively minor incidents turn so serious so swiftly? What lessons can be learned that are applicable to other nations that may find themselves in similar situations? In late December, Japan accused a South Korean warship of locking its fire-control radar on one of Japan’s maritime surveillance aircraft overflying the area of overlap of their claimed exclusive economic zones (EEZ) in the Sea of Japan. 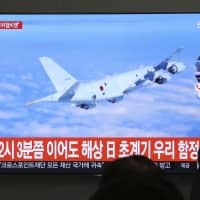 Japan said that in doing so, South Korea had violated the Code for Unplanned Encounters at Sea (CUES); Tokyo called the incident “extremely dangerous.” In response, South Korea accused the Japanese aircraft of flying dangerously low over its warship. Then on Jan. 23, South Korea accused a Japanese surveillance plane of making “provocative” and “threatening” passes over one of its naval vessels near Ieodo (Socotra) in the Yellow Sea, a submerged feature that China claims as part of its EEZ. South Korea said similar incidents occurred on Jan. 18 and 22. Ominously, South Korea added that “if such activity repeats again, our military will respond strongly.” Some interpreted this as a threat to use force. Both sides have denied the accusations and demanded apologies. The rhetoric became ever more vitriolic. Scheduled military vessel visits and senior-level defense exchange programs were suspended. Some South Korean ruling party lawmakers called for the scrapping of an important intelligence-sharing agreement between the two. The dispute continues to simmer. This flap must be viewed within its particular political context. Relations between Japan and South Korea have long been brittle, based on bitter history and visceral enmity stemming from Japan’s colonial rule of the peninsula from 1910 to 1945. Major issues have flared in recent years including over “comfort women”; wartime labor; chauvinistic Japanese textbook descriptions of Japan’s rule; and the sovereignty dispute over Takeshima/Dokdo. All these have aroused strong nationalist feelings on both sides and the relationship has sunk to its lowest point since the two countries normalized relations in 1965. Thus the at-sea military encounter became a political pinprick that lanced the festering sore of nationalism, which then erupted and rapidly spilled over into the broader relationship. While having some peculiarities particular to the Japan-South Korea relationship, the imbroglio has nevertheless generated some valuable lessons for the region. First, such incidents can easily and quickly turn nasty — not just between enemies but even between “friends.” Military confrontations are very sensitive and can become infused with nationalist sentiments and domestic politics. Indeed, maritime disputes in particular have emerged as matters of national pride that warrant political and, if necessary, military action to defend the “motherland.” There are similar historical enmities and maritime disputes elsewhere in Asia. The U.S.-China military relationship has been stressed because of similar incidents resulting from U.S. intelligence probes and U.S. Navy challenges to China’s claims in the South China Sea. Second, CUES is ineffective in such situations. CUES is a 2014 agreement to reduce incidents at sea and — if an incident occurs — to prevent it from escalating. Japan, China, South Korea and the United States are signatories to the voluntary agreement. The U.S. argues that if all adhere to CUES all will be well. But they do not and it will not prevent or mitigate such incidents. This is because many such encounters are not unintentional or even unexpected. Some are the result of intentional testing of limits and the sending of “messages.” Moreover, the voluntary nature of CUES and its application only to purely military forces limit its usefulness in Asia. Third, the legal issues are complicated and there is no clear wrong or right. The military assets of both Japan and South Korea had the right to be where they were. The South Korean Navy said that in the December incident its warship was searching for a North Korean fishing vessel in distress. If so, it was actually required by the U.N. Charter and the U.N. Convention on the Law of the Sea (UNCLOS) to render such assistance to any ship in distress on the high seas. Since the December incident occurred in Japan’s claimed EEZ, its surveillance aircraft certainly had a right to check out what was going on. 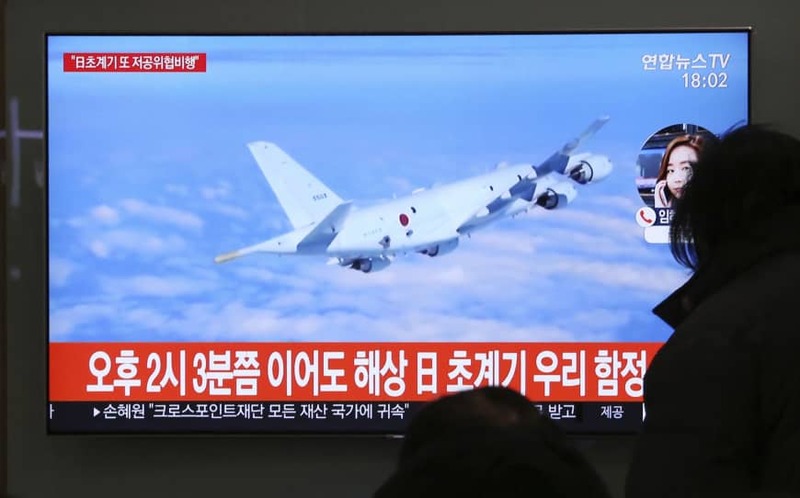 Indeed, the aircraft’s mission may have included monitoring possible violations of U.N. Security Council sanctions against trading with North Korea through ship-to-ship transfers. So the real questions are what did each side do and why — and this is where they vehemently disagree. The issues involve different interpretations of the EEZ and air defense identification zone (ADIZ) regimes — as well as expected military practice in such areas and the threat of use of force. They also involve advances in military technology that have outpaced law and custom. This gap needs to be addressed, not just between the two immediate protagonists but by potential ones as well. There are other underlying jurisdictional issues that resonate internationally. Japan and South Korea have overlapping EEZs and ADIZs. In 2013 South Korea extended its ADIZ to include sensitive submerged rocks — Socotra — that are claimed by both South Korea and China. South Korea’s ADIZ also overlaps part of Japan’s ADIZ in the area and China’s 2013 declared ADIZ overlaps them both. The January incidents occurred in or near the overlap of the ADIZs. ADIZs are unilaterally declared and there is no international agreement governing their regulations or how to handle disputes that arise regarding them. For example, neither Japan nor the U.S. recognize China’s ADIZ in the East China Sea. Similar incidents could occur elsewhere and go unresolved — at least legally. The South Korea-Japan relationship underpins the U.S. alliance system in Northeast Asia. Yet the U.S. has been publicly silent and seemingly impotent in tamping down the rising animosity between its two allies. The Trump administration is understaffed, preoccupied with other matters and has horse blinders regarding its preference for viewing foreign policy through a bilateral lens. Moreover, American policymakers may not want to get involved and risk the perception that Washington is taking sides, thus making matters worse. In any case, the U.S. has shown no inclination to intervene. But if left to fester, the deteriorating Japan-South Korea relationship has the potential to undermine the U.S. alliance system. This U.S. ineffectiveness will not go unnoticed by its friends and foes alike. At the least, this lack of U.S. response may embolden China and North Korea to take more risks in the event of such incidents. The point is that such seemingly minor incidents may have serious implications for relations between potential protagonists with interests and military forces operating in Asia. They need to be proactively addressed.